MuslimView (MV): What prompted you to set up Jamia Al-Karam? I came to Britain as an imam for a mosque in High Wycombe, Buckinghamshire, in 1974. In addition to the general leading of congregational prayers, my duties included the teaching of Islam to the younger generation. Within a few years, however, I began to feel that my preaching was not having a credible effect on the young generation in this country. One reason was that the predominant language of British Muslim children was English. When I would speak in English, they would find my accent and manner of speech to be quite strange. The second reason was that when delivering a sermon or addressing matters of religious practice, the youth would see me as someone who grew up and was schooled in an exclusively Islamic environment in a foreign country. They would assume that practising my faith was second nature to me but for them it was not. Religious observance is not a part of life here in Britain and slipping into modes of life that are contrary to the values of Islam is easy. They felt they had little in common with me and they could not relate to me. When I would lie in bed at night, I would often reflect on this situation and my role as the imam of the mosque and the local community. I would ponder over the notion that I was not rightfully fulfilling the objective for which I had been appointed as an imam. In the end, I came to the conclusion that I was not fit to be an imam for the Muslim youth of Britain. Many of the imams who would come here from the Indian subcontinent would also face the same difficulties and issues. Therefore, I sought to embark upon the grand task of establishing such an institution here in Britain. An institute in which the Muslim youth of this country could be educated in the Islamic sciences and scholarly disciplines of the religion and be trained to be imams. These imams would then be able teach Islam to the new and upcoming generations in accordance with the language, culture, manner and educational system of Great Britain. Such imams and scholars will not seem alien to British Muslim children and they would have much more in common with them. Such an imam would be a role model for them. Such that when they see a bearded, youthful British imam leading the prayers, they would be compelled to think that this imam grew up in this very country in the same surroundings we find ourselves in; if he could become a practicing and observant Muslim, then we too should attempt to learn, understand and practice our religion. Setting my eyes on this momentous task and in view of this purpose, I resigned from my imam’s position at the mosque. I then set up the humble institution of Jamia Al-Karam in Milton Keynes, Buckinghamshire, in 1985 and in 1995 we moved to the large campus of Eaton Hall in Retford, Nottinghamshire. All this was by the grace of Allah Almighty and the generous support of friends and well-wishers. MV: What challenges and obstacles did you face? The greatest challenge I have faced and continue to do so is of financial income and resources. It seems to be the norm, generally speaking, that well-off people within the Muslim community do not normally turn their attention towards religious education. They prefer to see their children become professionals such as doctors, engineers, lawyers, businessmen, etc., and their attention and energy remains focussed on this area. Whereas those who are less affluent appear to have a greater inclination towards religion. However, they are unable to afford the fees required in order to effectively support the demands of maintaining an institution of this kind in this country. Hence I have continuously struggled due to financial difficulties. Having said that, it is important to note that, in the service of religion and faith, one is faced with challenges and obstacles. It is the spirit of faith in Allah Almighty and the duty of service that one finds the strength to continue and struggle for the betterment of society. Aside from financial obstacles, challenges can appear from different angles. But the example from Prophet Muhammad (Allah bless him and grant him peace) is one of continuing on with the task at hand in order to serve the faith and the community. When one strives for good, divine mercy always provides for success that grants heartfelt tranquillity and peace. MV: What would you say are Jamia Al-Karam’s achievements? From its beginning, Jamia Al-Karam initially offered only an Islamic scholarship course based upon the traditional Dars Nizami curriculum in a contemporary context. Later, we established a secondary school on the site in Retford. The aforementioned scholarship course was also made available to female students. In addition to the traditional scholarship curriculum, the course also offers degree level modules in contemporary Islamic Studies accredited by Middlesex University. Moreover, Jamia Al-Karam gained affiliation, in 1999, with the world’s oldest and most recognised centre of Islamic learning and scholarship, Al-Azhar University of Egypt. Today Jamia Al-Karam is also host to the UK Branch of the World Association for Al-Azhar Graduates. We are proud to say that the vast majority of Al-Azhari scholars in the UK are those who gained access to Al-Azhar via Jamia Al-Karam’s affiliation and after completing their studies at Jamia Al-Karam. When one considers the context in which Jamia Al-Karam began, and the objectives it sought to fulfil, Allah Almighty has blessed Jamia Al-Karam with divine favour. Jamia Al-Karam is a household name amongst the many mosques and communities of Indo-Pak origin around the country. Graduates and professionals from Jamia Al-Karam can today be found in every other town and city, who play their part in society in numerous areas and fields. Jamia Al-Karam has produced over three hundred young British male and female scholars, who are serving Islam in various mosques, institutions and centres. Moreover, over the years through the Al-Karam Secondary School, hundreds of young Muslims have become professionals such as medical doctors, Ph.D. holders, engineers, chemists, accountants, lawyers, state school teachers, opticians, chaplains and architects. Being professionals and at the same time possessing a true understanding of their faith and practicing it, they are contributing positively to the British society. MV: What do you see as the main challenges facing British Muslims today? It is my view that the most significant challenges facing British Muslims are the rise of Islamophobia, the presence of internal differences and mutual disputes, and the lack of a genuine leadership. If we can set our internal differences aside, a constructive voice of leadership can emerge. Not only can we then tackle the challenges facing us, we can address the needs of the Muslim community effectively, we can also have a positive impact on wider British society. Education and knowledge are essential, both in the religious sphere, countering extremism and in the worldly sphere to guide people away from other excesses. Guiding the community, in particular the younger generation, towards this end, is an important task. MV: What advice would you give young British scholars? Shaykh Pirzada in the countryside of North Nottinghamshire. My advice is twofold. On the one hand, the younger and upcoming Muslim generation needs to be properly taught and educated in the mosques and educational centres they attend. This will ensure that they become confident and firm in their faith and belief, so that they do not fall victim to extremism, radicalisation and terrorism. And on the other hand, it is no longer an option to simply remain working in an isolated manner within one’s own community. We must bridge divides and bring all communities of Britain closer. Imams and scholars can lead in this through regular communication and meetings with people of other communities to nurture community cohesion and foster good relations within British Society. MV: What should young British Muslims look for in a leader? MV: How do you think we have progressed in the last thirty years? In Great Britain, the Muslims have contributed positively in areas such as business, charity and politics. In numerous other fields, Muslims have excelled and contributed positively enriching Britain and its society. Moreover, to serve their religious needs, British Muslims built and established mosques and institutions in their local communities with their hard-earned money. But with great sorrow I say that our new generation has fallen behind in education but ahead in the population of prison inmates. Muslim children generally are behind others in education at the GCSE level and at the same time the number of young Muslims in prisons has increased. The young seem disenfranchised from the mosques and their imams. This is a moment calling for serious attention. The future of any community rests on the education and upbringing of its younger generation. We as a community need to celebrate our achievements but also reflect on our shortcomings. We must work towards building a better future. MV: Jamia Al-Karam produces a number of students who then go on to be imams in British mosques, what particular training and advice do you give them to equip them for this role? Aside from giving them a solid grounding in the traditional sciences of the religion in a contemporary context, it is the values and ethos of Jamia Al-Karam that has had a positive impact. In our values, we have a statement for ‘scholars to have both eyes open’. This means to give equal attention to both our religion and the world in the present context. If either eye is closed, then the imam will be inadequate. Just as Imam al-Shami in Radd al-Muhtar writes, “A scholar who is not aware of the customs and conventions of his time is actually ignorant.” Understanding Islam properly will protect against false ideology and extremist viewpoints. Understanding the present time and place will assist in relating effectively Islam to our time and our world. This approach nurtures the mind and intellect. The other dimension is the nurturing of the heart and soul, which is by practicing the religion and developing the spirituality of the student to connect with Allah Almighty. This leads to experiencing religion and the spiritual uplifting of the individual. The ethos of every educational institution is of significant influence that has a lasting impact on its students. It is not enough to simply narrate the Islamic sciences and traditions, students are required to become life-long learners and build the capacity to assess their situations and circumstances, thereby apply their religious training for the betterment of individuals and the society. Some of our repeated proverbial statements include: (1) Honour lies in service to others and the community. (2) Dislike the crime, but love the criminal that you may guide him. (3) Always try to prove that you are right, but never attempt to prove that others are wrong. MV: In modern Britain, the needs of community are to have imams and scholars in touch with Britain, how do you see the role of the modern imam developing? Previously the imam may have simply been the individual responsible for leading the prayers in the mosque. 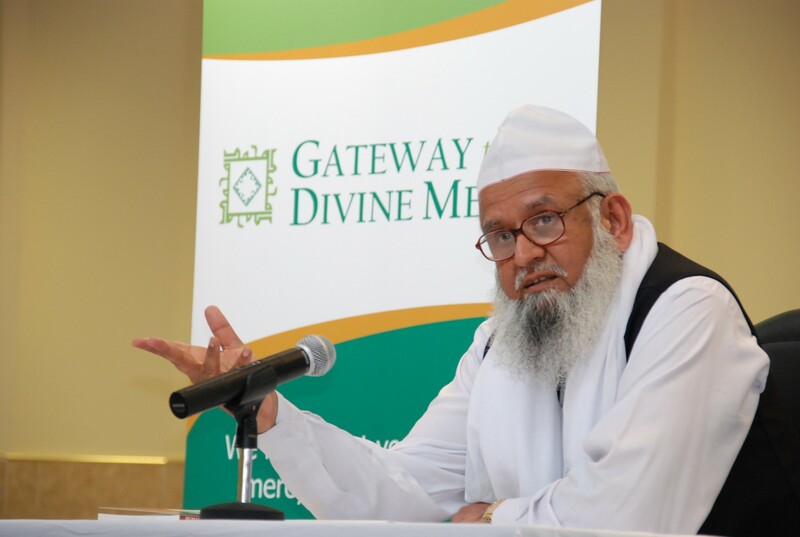 But it seems to be the case that the imam is increasingly being seen as a representative of the religion, the community and the one with the opportunity to address the community, guide it and provide support. It is fair to say that the issues pertaining to the Muslim and the non-Muslim communities of Britain are changing very rapidly. The role of imams and scholars to address them is not developing at the same speed. There is urgent need for the scholars to examine thoroughly the situation of Britain and begin presenting and formulating solutions to deal with the challenges in accordance with the demands of this country. The position of imams and scholars holds great responsibility and also gives immense opportunity. MV: What advice can you give mosque committees and organisations on how to employ and value imams, as traditionally becoming an imam has not been seen as a viable career option and often families push more troublesome children towards these areas. How can we promote the role of the imam as a viable career? Following on from your previous question. As the role of the imam seems to be changing, similarly it would be fair to suggest that the role of the mosque committees and organisations is too in need to change and develop. 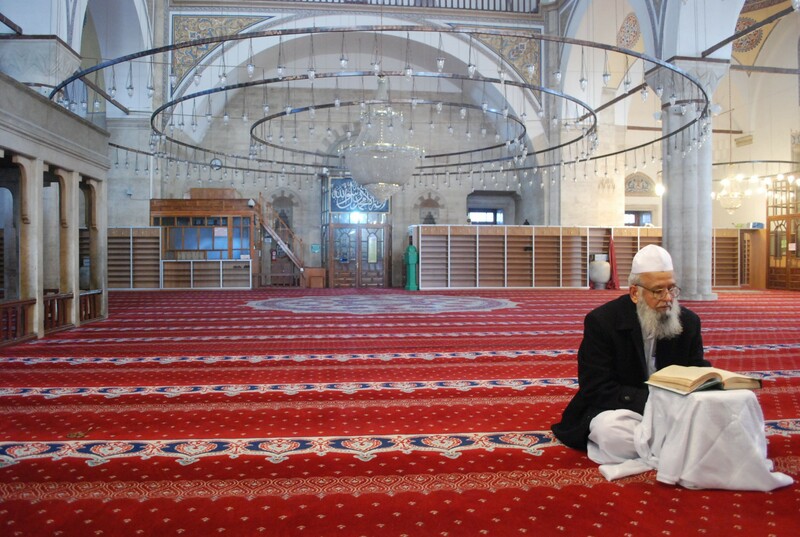 In the current administrative setups, management committees would also need to develop themselves and their abilities in order to develop the mosque and the organisation. One aspect to consider in this regard is the appointment of new imams, the selection process, job descriptions and salary packages. In the absence of a national standard, as a practical step under the current circumstances, I would request current mosque committees to formulate job descriptions in view of their community’s requirements and also move towards a professional salary package for prospective imams. In doing so, they should consult with two or three senior scholars of the country that they are happy to consult with on matters of appointment and salaries. By appointing imams who are learned and dedicated, who are receiving salaries consonant with their positions, the quality of work and output will naturally be noticeable and the imams will gain respect within the community. When the community begin to see the honour in the position of an imam, as well as the professional salary band, it will be seen as a viable career option and people will encourage noble and intelligent children to consider this option too. I am hopeful that in the future, the appreciation of British imams and scholars will continue to increase. MV: How hopeful are you for the future for British Muslims in the face of geo-political tensions both domestically and globally? It is a matter of faith to remain hopeful, in which lies strength. Despair is fruitless. If the Muslims amongst themselves as well as with the non-Muslim communities develop a pleasant and positive understanding at this very critical time, the future of British Muslims will be bright, Allah-willing. MV: What do you see as the main challenges for British Muslims heading into the future? Shaykh Pirzada speaking at the Uniting for the Prophet Mawlid Event at the Wembley Arena, London. 30 April 2006. Photo by Peter Sanders. Extremism and intolerance are both great challenges, as a result of which Islamophobia on the one hand and terrorism on the other hand are both increasing. Grievances require an intellectual and spiritual response. Therefore, we need to learn a lesson from the Makkan life of the Prophet Muhammad (Allah bless him and grant him peace). For thirteen years, the Prophet (Allah bless him and grant him peace) tolerated the oppression and persecution by the non-Muslims of Makkah. Both Lady Sumayyah and Yasir were martyred, and Bilal was tortured, yet the Prophet (Allah bless him and grant him peace) did not take any step in revenge or out of uncontrollable emotions. If the Muslims had seen violence and fighting to be the reaction with the non-Muslims in Makkah, then the future of Islam would have suffered. Similarly, if any Muslim pursues an unlawful and un-Islamic act here due to raging emotions for whatever reason, then Muslims and Islam will continue to suffer. Extremism is defeated in Islam by its moderation, and intolerance by its mercy. Both moderation and mercy are the distinctive integrals of Islam. With thanks to Bakhtyar Pirzada. You can visit the Jamia Al-Karam website or the Jamia Al-Karam Facebook page to find out more about the school. To find out more about visit Shaykh Pirzada’s website. To purchase publications by Al-Karam Publications, visit the Al-Karam Publications website.